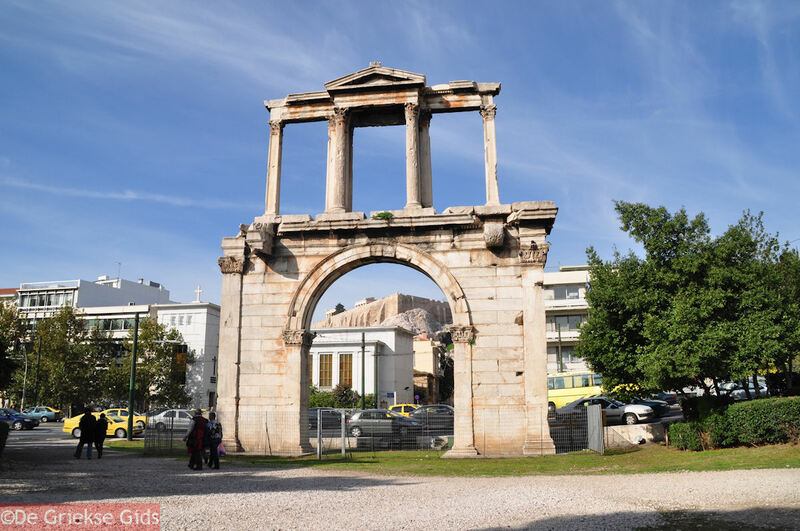 Arch of Hadrian Athens. 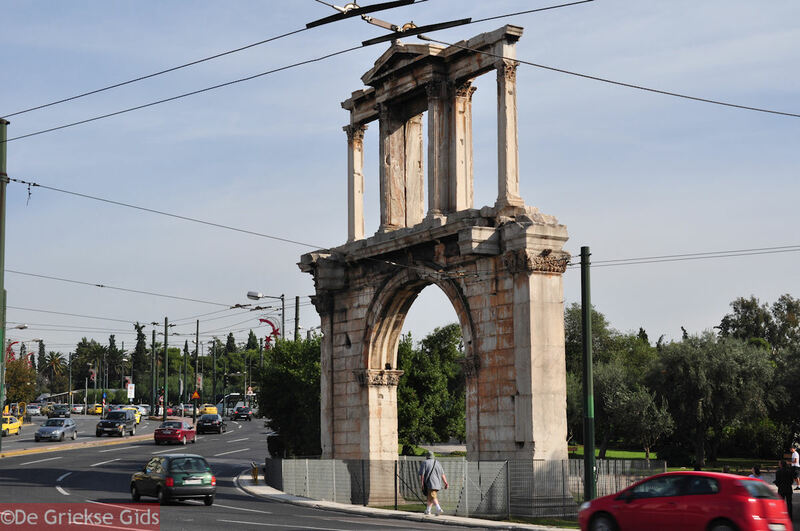 Northwest of the Acropolis, near Plaka and close to Amalias Road, is Arch of Hadrian Athens. 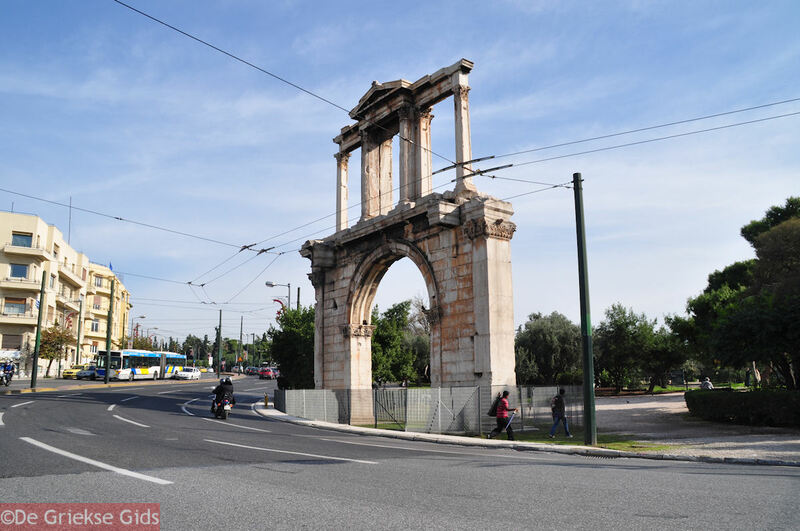 The Hadrian Gate or Arch stands on the same site as the temple of Zeus Olympius. Hadrian also built a new neighborhood. On the border between the old and the new city he built the Hadrian Gate, which is 18 meters (60ft) high. The gate of Hadrian is identical on both sides except for the inscriptions in Greek letters. 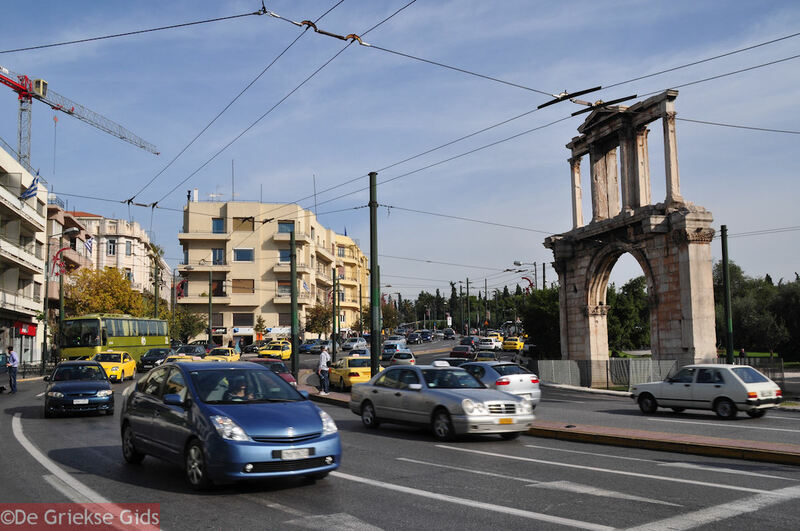 In the direction of the Acropolis, it says: "This is Athens, the ancient city of Theseus." On the other side, in the direction of the Temple of Zeus Olympius, it says: "This is the city of Hadrian, not of Theseus." The full name of Hadrianus was "Publius Aelius Adrianus Trajan." He was emperor of Rome in the years 117-138 AD and a great lover of Greek culture. In his works Greek elements are continuously referred to. Besides the Olympius Zeus Temple and the Hadrian Arch, he built the library in Athens. In Rome, he built the Pantheon, the Ponte Sant' Angelo, the Temple of Trajan and the Athenaeum. In Benevento, he built the Villa Adriana, in Carthage, the Zaghouan Aqueduct. 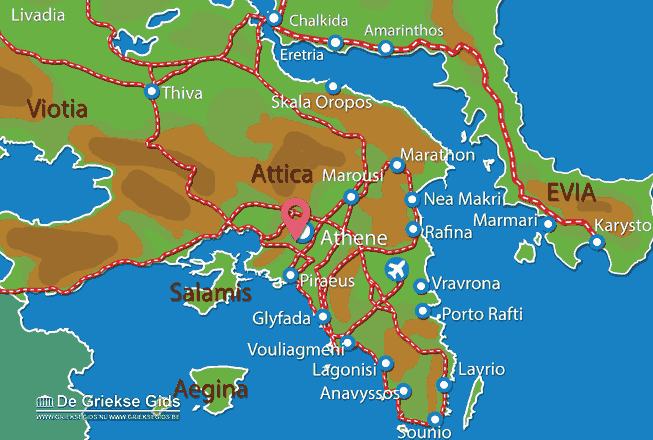 Attica: Where on the map is Arch of Hadrian located?